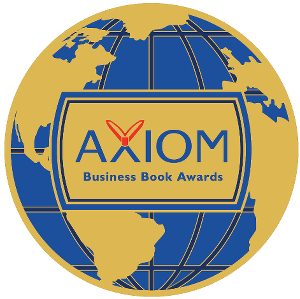 The Age of the Customer has been awarded the 2015 Axiom Business Book Award. This is the second award Jim’s book has received. Read more here. You’re operating your business in a time when something is happening that is so momentous it has never happened before. An epochal marketplace shift is causing the 10,000-year-old Age of the Seller to be replaced by the Age of the Customer. • The product, controlled by the Seller. • Information about the product, also controlled by the Seller. • The buying decision, controlled by the Customer. Then something happened that accomplished what no other event or innovation had been able to do for 10 millennia—the birth of a new Age. • Products and services are still controlled by the Seller. • The buying decision is still controlled by the Customer. • Access to information, including customer experience, is now controlled by the Customer. As you can see in the graphics below, the elements have shifted in terms of who controls of the relationship. It’s the Age of the Customer—the rules have changed. Jim’s new book will help you prepare for the Moment of Relevance. A heretic is a prophet with the courage to warn us about complacency with, and the seduction of, the status quo. As you read this book you will alternate between seeing Jim as a prophet or a heretic. When you read ideas Jim reveals that are new to you, he’ll be a prophet. When you realize that what you once thought of as future thinking is actually your here and now, you’ll see him as a heretic. At the moment you discover why “the way we’ve always done it” is no longer producing acceptable results, that’s when you must pay the most attention. That will be your greatest moment of clarity about the essence of the Age of the Customer, and when you will be able to prepare for the Moment of Relevance. This is the most relevant business book today. In The Age of the Customer, Jim Blasingame demonstrates his unique ability to explain why we’re in a once-in-a-lifetime marketplace shift, then delivers solutions every business owner needs to turn disruptions into opportunity. This is Jim’s gift to you, especially ‘Blasingame’s Laws’. Jim Blasingame, the master of small business, has done it again. With leading-edge ideas and an entertaining style. Jim shows you how to navigate the fast-changing marketplace in The Age of the Customer. This book will make you smarter and make your customers love you! Ken Blanchard, co-author of The One Minute Manager and Trust Works! With his new book, Jim Blasingame shows us the power of community in the new era he calls the Age of the Customer. Playing an increasing role in influencing prospects and acquiring customers, he correctly points out that communities are the products of marketplace networking, especially face-to-face. Networking = Community = Customers. Well said, Jim. While the rest of us are unsettled by the shifting business landscape created by technology, Jim Blasingame has been doing the deep thinking about how to turn frustrating disruptions into opportunities. With his new book, The Age of The Customer, you and I become the beneficiaries of the insights Jim has achieved, including what is happening, why, and how we can lead this change, instead of reacting to it. 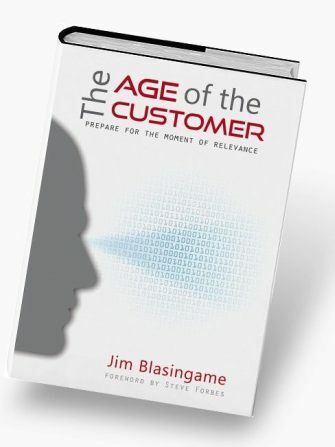 Jim Blasingame delivers powerful prose, poignant examples, and practical advice in his new book,The Age of the Customer. A wake-up call for every business manager, Jim will help you understand how to meet your customers’ expanded expectations of value and relevance. If you only read two books this year, read this one twice!